Waiting can be so hard! Growing up I can remember getting up early with my older brother and sister while it was still dark on Christmas morning. We were so excited! We would sit in front of the Christmas tree for what seemed like hours waiting on Mom and Dad to wake up. Before long we would begin to accidentally make noise hoping to wake them. When their door opened, the celebration would begin! In those days, waiting for a couple of hours seemed like forever. 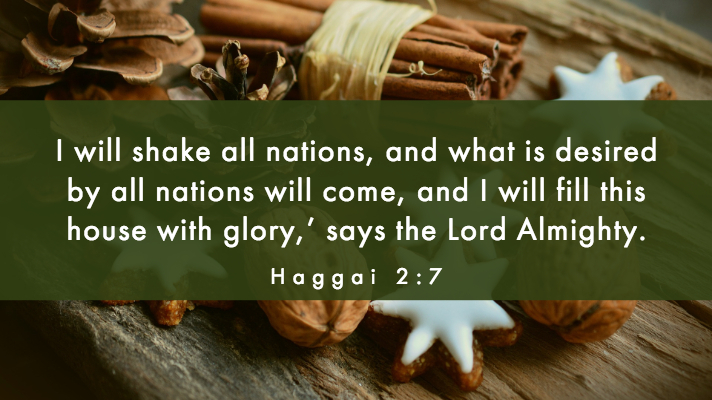 I can only imagine what it was like for the nation of Israel as they waited for the coming of Messiah. For hundreds of years they waited for the coming One spoken of by the prophets. God would bless His people Israel in a special way and the Throne of David (2 Samuel 7:12-13, 16, 25-26) would be established forever. The Messiah would rule in righteousness, full of wisdom and power. He would be their strength and redeemer. Yet God’s people, Israel, would often grow discouraged as they waited. Waiting can be so hard, especially when we have to wait a long time. He looked at the many orphans and pondered the class divide in 18th century Great Britain. He considered their plight and knew that only Jesus could provide what they really needed. He thought of Israel and how they had waited for the promised Messiah. Only Jesus could provide what Israel needed. Then he wrote this song of hope. Come, thou long expected Jesus, born to set thy people free; From our fears and sins release us, let us find our rest in thee. Israel’s strength and consolation, hope of all the earth thou art; Dear desire of every nation, joy of every longing heart. The first stanza focuses on Jesus as the promised Messiah. Only He can bring forgiveness and rest to our souls. Only Jesus can free us from our fears and sins. He is our strength and hope. Jesus is the only source of enduring joy for every longing heart. I remember in college when my Dad called and asked me to come home immediately. My Mom was diagnosed with cancer and they would operate the next day. I was shaken and scared. That season of fear and asking God to help her was a part of God drawing me to salvation through Jesus. Ten months later when I finally put my trust in Jesus, the burden of my sins was lifted. I have had many fears since that time; but God has a way of calming my spirit and seeing me through. I have found that in Jesus I can truly find “rest” in my soul.